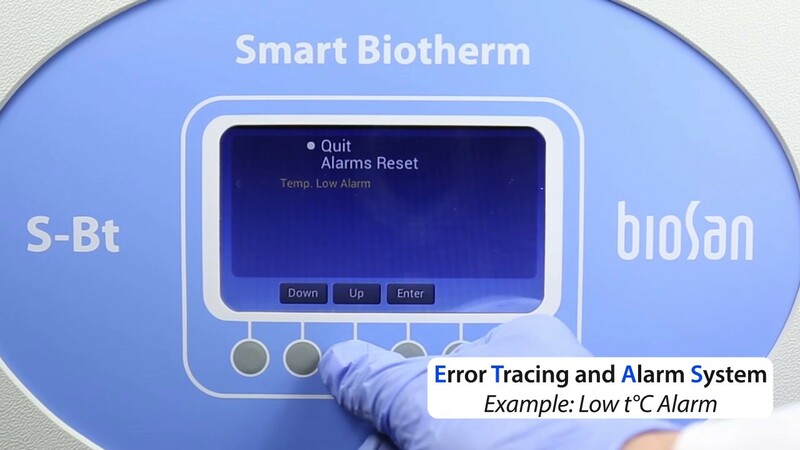 S-Bt Smart Biotherm is designed for work in the areas of cell biology (operations with animal cell cultures and tissues), molecular biology (DNA/RNA reaction analysis, hybridization reactions), biotechnology (synthesis of target proteins and other molecules), immunology (synthesis of antibodies and other proteins of immune system). S-Bt is equipped with a UV air recirculation system - 1 UV lamp and a fan are mounted behind the rear wall, providing decontamination of the working volume. Unit is equipped with a “black box” system that records temperature, humidity and CO2 levels, as well as statuses for door opening, UV lamp, fan and errors, to the inner memory.